excerpt from Classic beauty – The History of Makeup. The eyes are not only the windows to the soul, but powerful communication tools. A simple glance can reveal the true intentions of its sender. Throughout time, makeup has played a prominent role in accentuating the eyes. Historical eras and time periods can be identified by observing the specific colors, trends, and styles used to decorate the eye. Black pigments in the form of kohl were used for centuries to darken lashes, eyelids, and eyebrows. 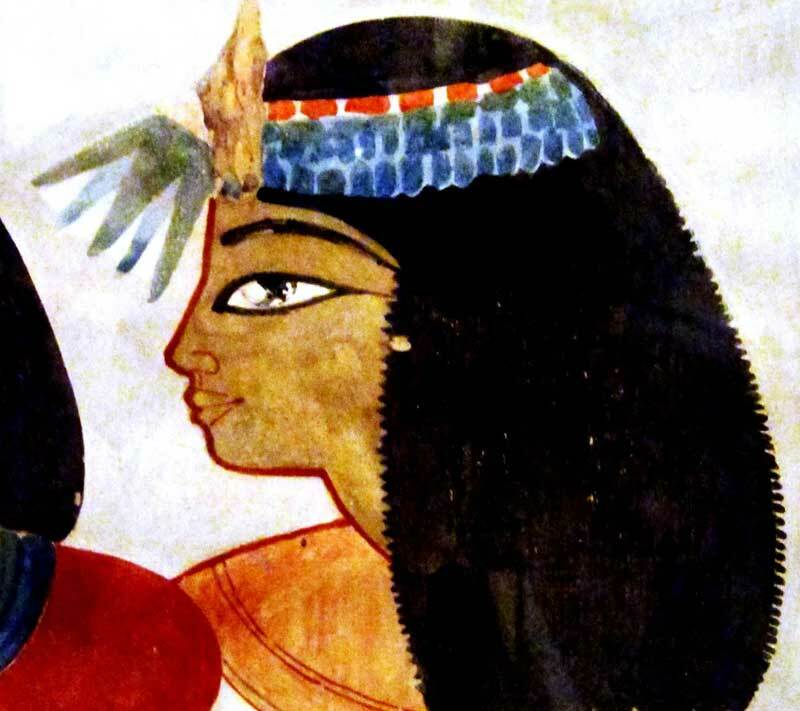 The Egyptians had many options for eyebrow dyes. Very exotic mixtures involved crocodile earth and donkey’s liver that were rolled in to ‘dye balls’. Kohl was commonly made of malachite, galena copper, iron manganese, and lead. These minerals were ground up with a stone slab and kept in shells or small alabaster containers, Kohl was mixed oil or fat and applied with a shaped stick. Lampblack was an inexpensive eye paint concocted by burning a candle and collecting the black soot left from the flame. 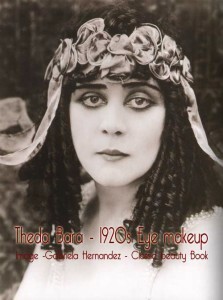 In 1909 a performance of the London Ballet Russes featured the use of heavy eye shadows and mascara, and spurred a brisk sale of these products. 1910 saw a shift from home production of cosmetics to commercially manufactured production. The upper classes favored kohl on the eyes and eye shadow colors were coordinated to match clothing. Gold and silver eye shadow colors were also introduced to use with evening wear. By the end of World War 1, the hair dye for men called mascaro was converted into the word mascara and re-sold with a new purpose: to beautify and darken lashes. [ an early mascara inventor was T.L Williams who created Maybelline, named after his inventive sister Mabel – read the Glamourdaze interview with Sharrie Williams, grand-daughter of TL Williams ]. Screen actresses played a major role in the spread of mascara use. Their expressive eyes were all they had to convey emotion on the silent screen. The use of mascara to lengthen the lashes was a way for the important eyes to take center stage in camera close-ups. Theda Bara [ star of the 1917 version of Cleopatra ! ] was the first to adopt the heavily kohled eyes popularized by Helena Rubinstein. her dark rimmed eyes became her trademark, which she wore on-screen and off. The look was so revolutionary, it was reported on by major newspapers. 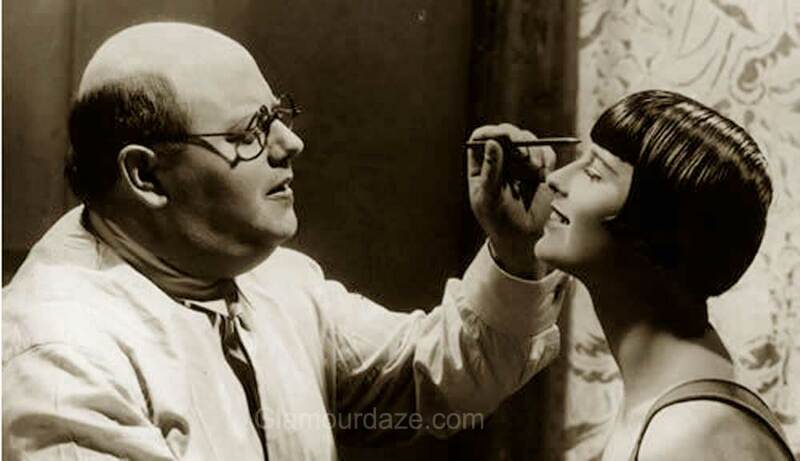 During the 1920s, Max Factor invented his own version of mascara called Cosmetique. His formula, specifically developed for Hollywood actress Clara Bow, was a waxy substance that came wrapped in a thin foil roll which resembled a thick crayon. Early Eye Makeup Product Inventions. Kurlash, a type of eyelash curling device, was invented in 1923. It was costly and very time consuming to use. It took ten minutes per eye for results. 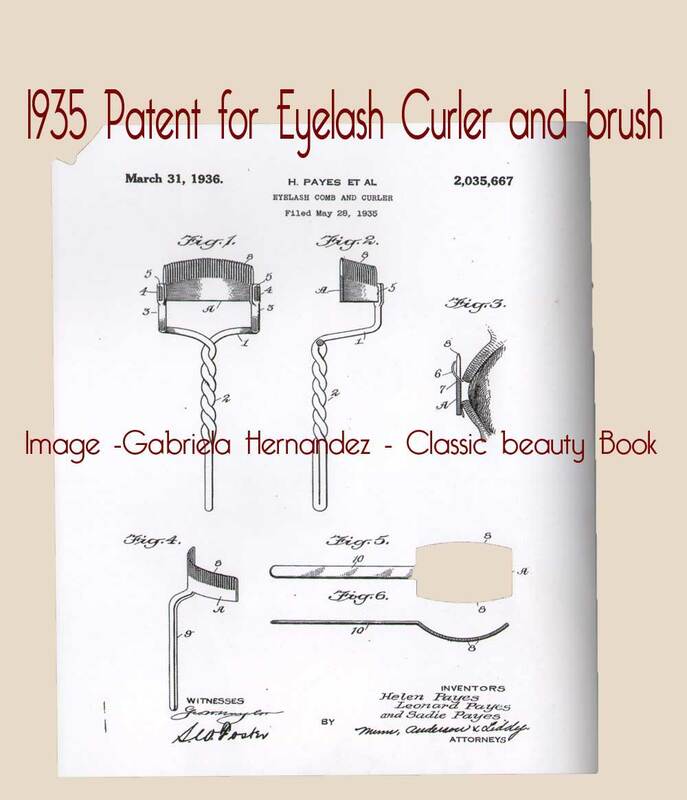 As the first device of its kind, it gained praise and recognition because it worked to give lashes ‘curl’ and make them more prominent on the face. The Eyebrow Pencil of the 1920s rose to popularity after it was improved with a new formula consisting of hydrogenated cottonseed oil. This new ingredient made the texture and its application softer and also prevented the spread of bacteria. The eyebrow pencil and mascara were favorite items of many actresses. 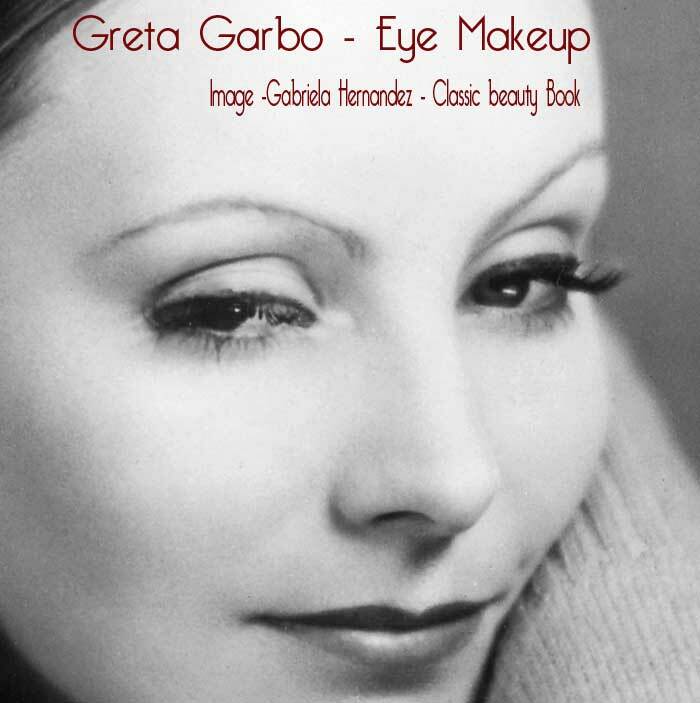 Greta Garbo’s pale blond lashes and eyebrows were defined with applications of mascara and eye pencils. 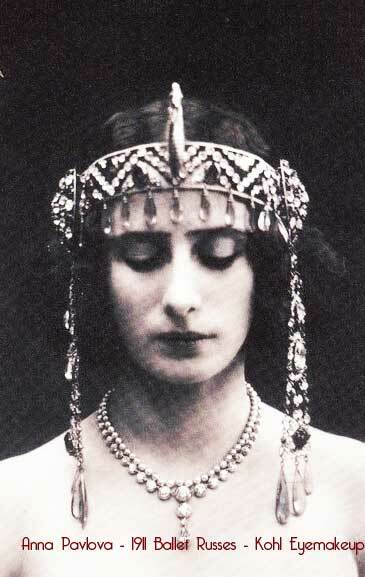 Her look was greatly admired and copied by women. She was recognized as the ultimate classic face of beauty. By 1925 the flapper look was passe. The new look was described as “pallor morits with scarlet lips and ringed eyes” by the New Republic. 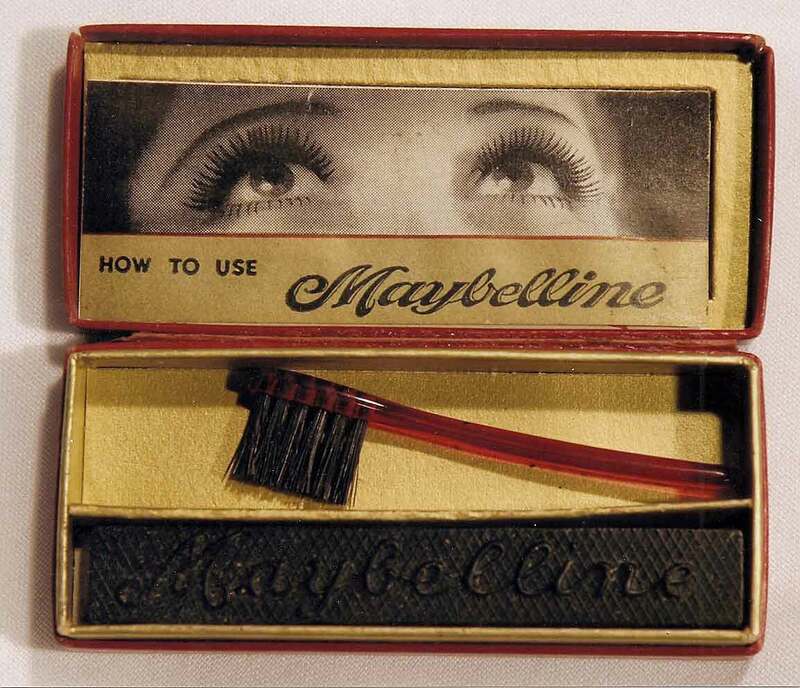 Maybelline’s cake mascara was hugely popular and was available in five and dime stores by the end of the 1920s. By 1936 – 62% of women used mascara regularly. Even the depression did not suppress the appetite. 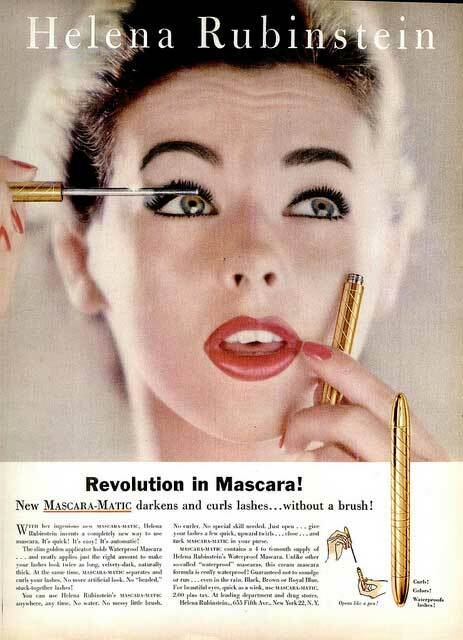 It wasn’t until 1958 that liquid mascaras became popular with Helena Rubinstein’s MascaraMatic. The container resembled a long pen with a grooved metal tip at the end that held the product for application. The patent that most resembled the modern mascara bottle was granted to Frank L Engel Jr in 1939 for his shoe blackening bottle mechanism. Unfortunately, Mr Engel did not profit from his patent. The idea for mascara wands did not take off until the late 1950s after his claim expired. Many other advances followed the introduction of the MascaraMatic ushering the development of the current mascara wand. In 1971, Maybelline’s Great lash water based mascara was introduced to the market. With its distinctive green and pink bottle, it is still the number-one selling mascara in the marketplace. Researchers have developed bold vivid pigments evolving into a myriad of colors im mascara since the 1980’s. Waterproof, metallic, and bright colors have given women a vast amount of choice. New fantasy false lashes, with feathers and crystals, were made popular by celebrities like Madonna. Gel eyeliners and cream-based shadows that did not smear provided an alternative to the pencil and liquid version. 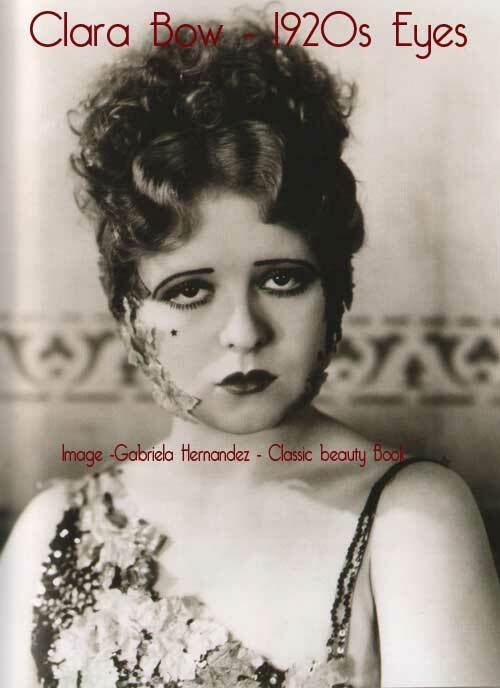 Read more in Gabriela Hernandez’s Classic Beauty – A History of Makeup. Read the full illustrated History of Makeup.